Need a goofy love bug who loves other dogs in your life? Look no further than Pippin. The first thing you’ll notice about him is his constant smile, which gets even happier when it’s time to play with his dog friends. He loves socializing with the human friends he makes along the way, too--he loves affection, cuddles, and kisses from his foster family. He’s eager to please and eager to play, but is also happy to chill out for a nice nap on his favorite soft blankets. Pippin gains a lot of confidence from being around other dogs and we think he would be extra thrilled to go to a home where he’d have a canine sibling to help him navigate the world. He did fantastic in our playgroups and is thoroughly enjoying living with his foster sister and doing some major twinning on their walks together. 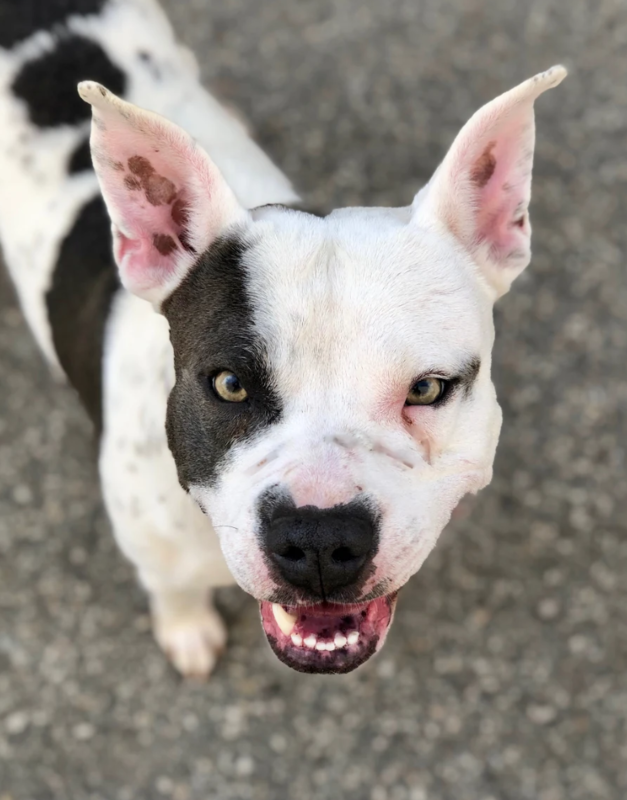 About 1 1/2 years old and 40 pounds, Pippin is crate-trained, house-trained, micro-chipped, up to date on routine vaccinations and working on his basic commands.